An intensively rejuvenating anti-aging cream for the eye area, including delicate and sensitive skin. It soothes, intensively moisturises the skin and creates a delicate lipid protective film against excessive dryness. It contains an active complex of the most effective phytosteroids, the so-called plant hormones, which prevent a loss of elasticity and firmness of mature skin. The anti-aging effect is intensified by bioavailable biotin, while squalane and rice proteins moisturise the epidermis and protect it from dryness. It effectively smooths wrinkles, slows the skin’s aging process and reduces visible signs of aging. Does not contain fragrances nor dyes. The line is designed for mature skin care, where the appearance is affected by a decrease in the concentration of age-related hormones. It prevents loss of skin firmness, wrinkle formation and dryness. The cutting-edge discovery of youth protein, knowledge, experience and more than 30 years of search for the secret of longevity have resulted in acquiring a perfect composition of anti-aging ingredients. Fito Care Line is a line of cosmetics to completely rejuvenate appearance of the skin of the face, neck and the décolletage. • Oil from the resin of the Pistacia lentiscus tree stimulates the youth protein, strengthens skin structure, rejuvenates facial features resulting in a non-invasive volumetric face lift. It effectively improves and models skin density, while raising the oval of the face. It prevents the skin’s thinning and sagging. • Phytosteroids present in soya and wild yam compensate for symptoms of a reduced level of mature-age hormones. They smooth, moisturise and firm the epidermis while providing anti-aging properties. Biotin - Strengthens functions of skin’s protective barrier and prevents aging. What skin types Fito LIFT is intended for? The line is designed for all types of mature skin, where appearance is affected by the decrease in the concentration of age-related hormones. 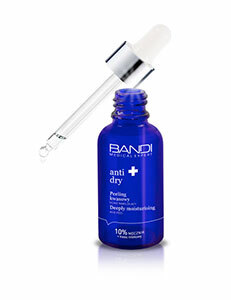 The rejuvenating oil phyto-extract may also be used as a „rejuvenating shot” for dry and normal skin types of all ages. a hypersensitivity (including allergy) to any of the ingredients of the formula. Apply in the morning and evening to skin under the eyes and pat in gently. For best rejuvenating results in the appearance of the face apply with other Fito LIFT Care line products.